Here is the other set of McDonalds Happy Meal toys from the US featuring one of the most popular feline, Hello Kitty. 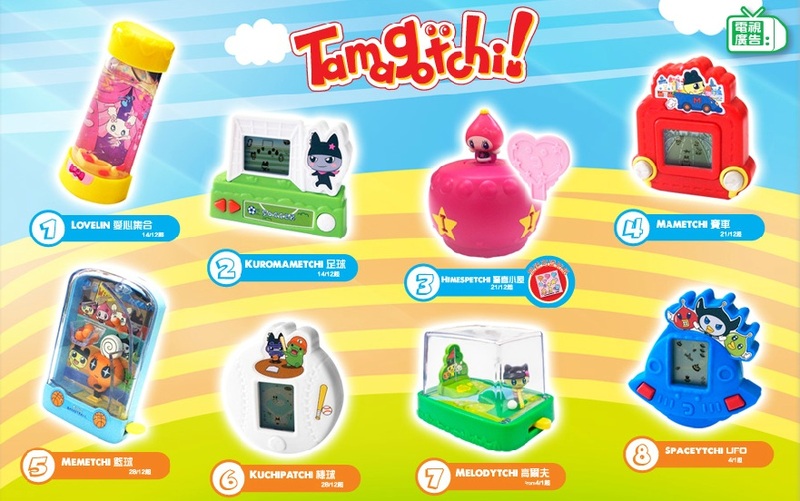 Hello Kitty collectors must be rejoicing since this set looks very very good. A must have for all Hello Kitty fans. 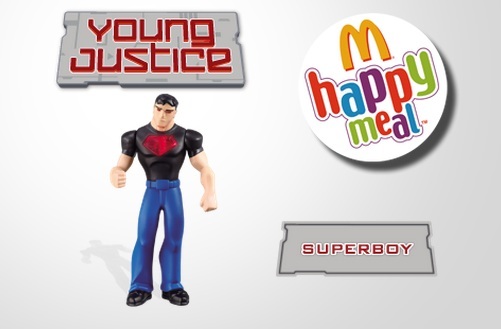 The latest Happy Meal toys for McDonalds US features our favorite transforming buddies the Transformers Prime. 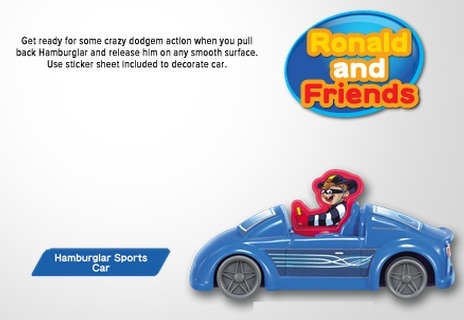 Last year's release features this robots in their vehicle or alternate mode. This time they are released in their robot mode which is better than the vehicle mode in my opinion. The set consist of three Autobots and three Decepticons. 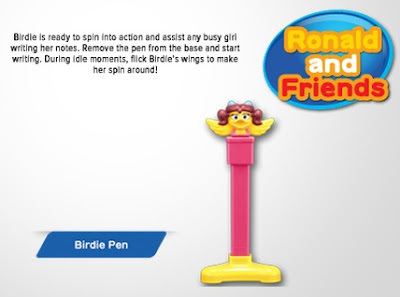 The toys still have the usual spring action gimmicks and shooting gimmicks. 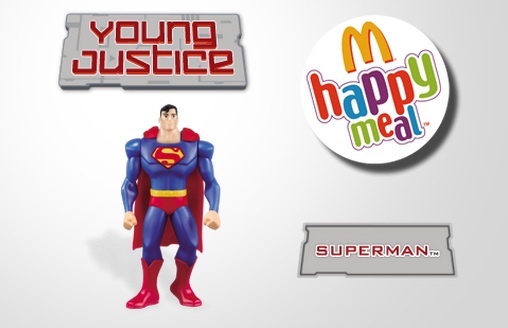 When I saw this new set of toys for Happy Meal it brings back a lot of fond memory of my childhood. 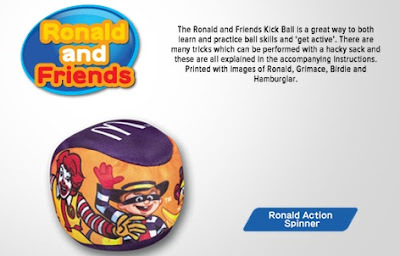 It is very seldom nowadays that McDonald’s release new toys featuring Ronald and the gang. 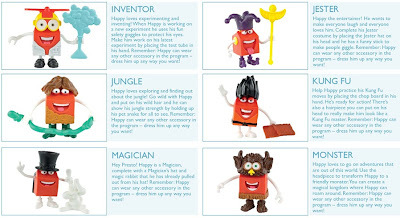 I still remember the times when Happy Meal toys were McDonalds character in different themes like jungle, circus, astronauts etc. I really hope that once in a while they will use their characters in Happy Meal toys. 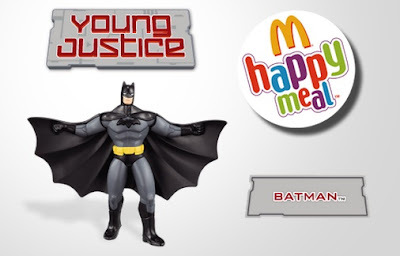 I was a little disappointed with this set since most of the toys are not figures or collectibles. 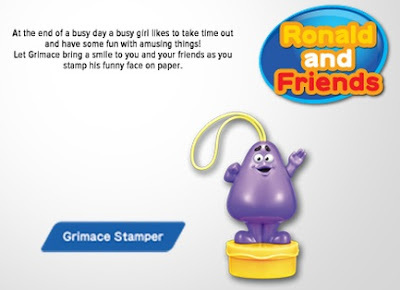 But on the other hand I’m happy too since the only figure I could consider in this set is Grimace my favourite character. 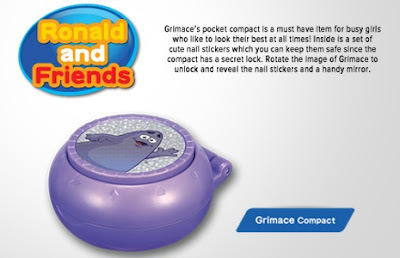 I’m planning to get some doubles of Grimace to add in my Grimace collection. For the month of January, here are the toys featured in McDonald's Happy Meal around the world. I skipped December since most of the Happy Meal Toys features Rise of the Guardians. I'm not sure why Argentina still have Madagascar 3 as their Happy Meal. Austria is currently having Spongebob Schwammkopf (Squarepants). 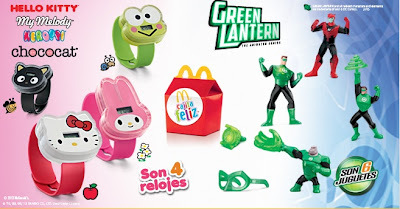 Sanrio watches and Lantern Verde (Green Lantern) for Brazil. 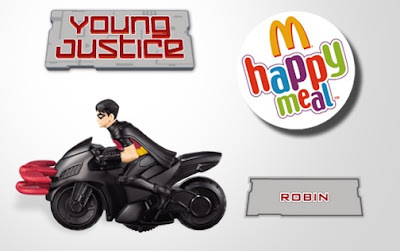 A must have for all Happy Meal toys collector. 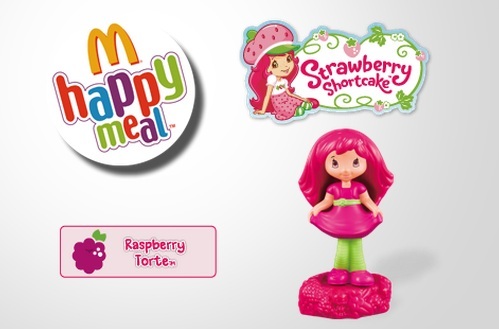 Happy Meal box figures is currently out in Bulgaria. Cyprus is also having the Happy Meal box figures. In their site each Happy Meal box figures are discribed. 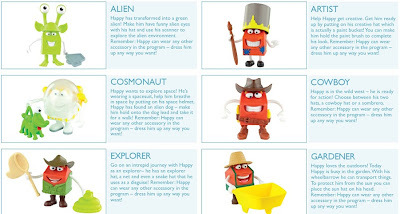 The alien is my favorite in this set. 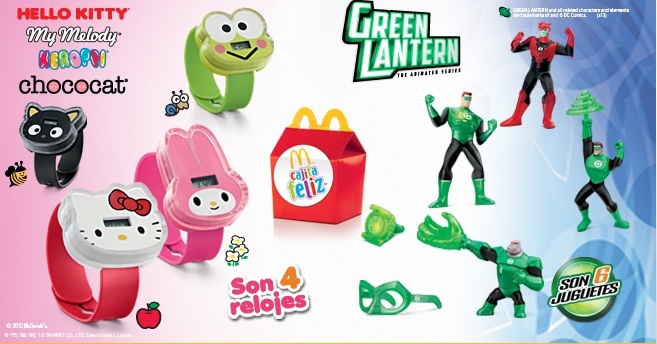 Guatemala also features the Sanrio wrist watches and Green Lantern toys. Hungary also have the Happy Meal box figures. Happy Meal Japan features some card game for boys and girls. 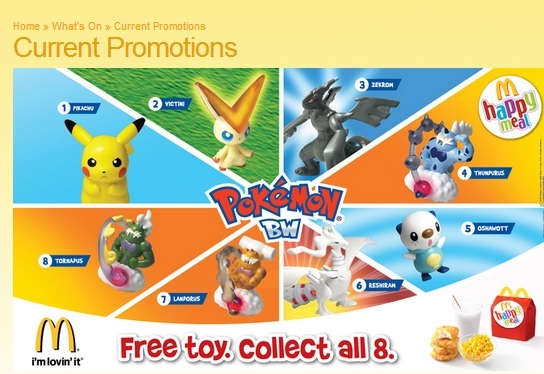 Lastly, Pokemon BW for Singapore. Here is the set for the boys of Mcdonal's Happy Meal Philippines, featuring Young Justice from DC Comics. The set includes Batman, Robin, Superman and Superboy. I'm going to have two sets of this but change my mind in the end. I have a spare Superman and I'm planning to give it away here in my blog site as a contest prize. Any suggestions on what kind of contest should I run is very much appreciated. To open the year 2013, McDonald's Philippines give us two exciting sets of toys. 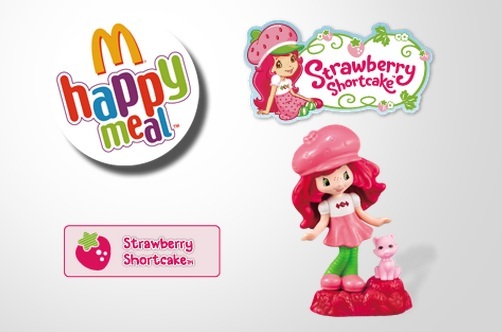 Here is the set for the girls featuring Strawberry Shortcake. 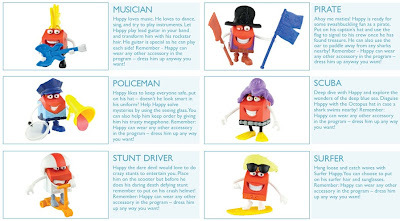 All four figures are scented and the smell is not bad. The sculpt of the figures is good, also the paint application. 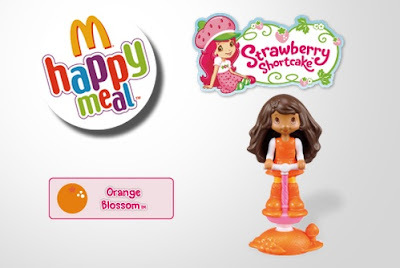 Back then I would easily skip this set, but because of my baby girl I only lack Orange Blossom. Carl's Jr. Cool Kids Combo first offering for 2013 featuring Hotel Transylvania. A total of four toys to collect. 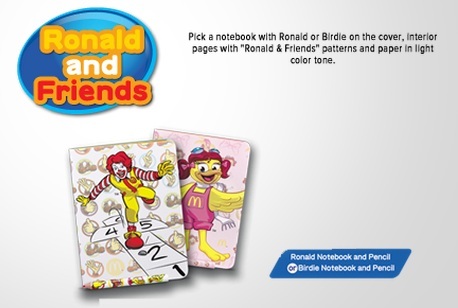 Match Game - Can you match these characters? 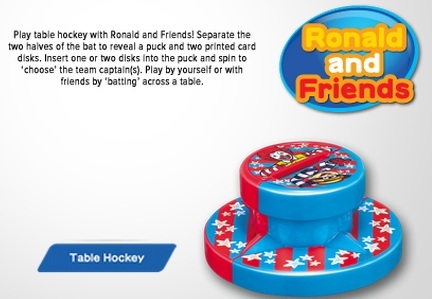 Includes box to store all the pieces. Hanging Skeleton - Clip these bones to your backpack. 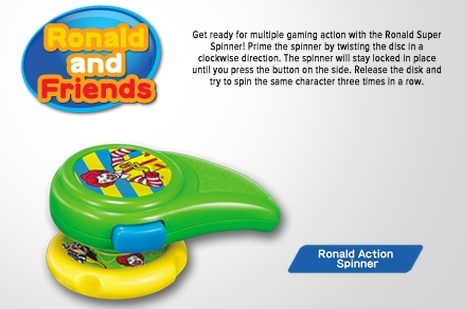 Watch it glow in the dark! 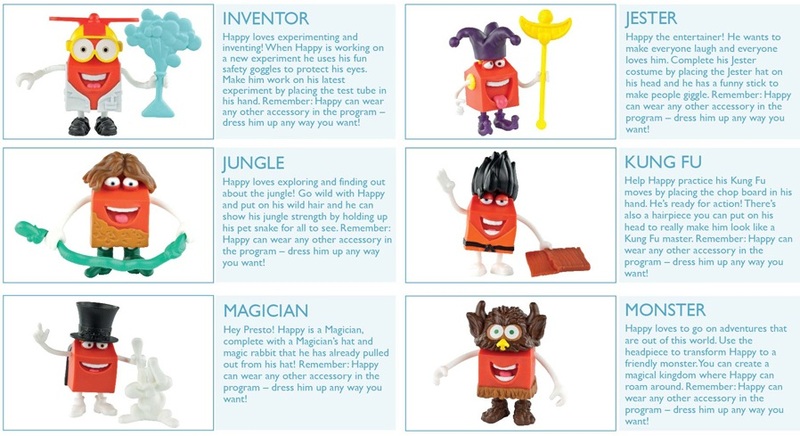 Monster Puzzles - Put together four different characters, which are stored in this handy case. Murray the Mummy - Send Murray spinning with the rev top.